The Medical Association of Jamaica (MIJ), not to be confused with the younger organization, Medical Doctor’s Association of Jamaica, is a non-profit organization that consists of a group of doctors. This organization was created to help the doctors who are members, with their personal and professional growth. It is the aim of the organization, that in helping its members develop personally and professionally, they will be better suited and equipped to contribute to the well being of society. The MIJ evolved from the BMA Jamaica Branch which was constituted as the first overseas branch of the British Medical Association in 1877. 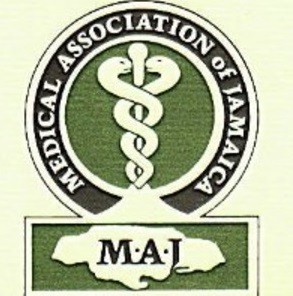 After independence, the Medical Association of Jamaica was formed to replace that body. There are now over two thousand (2,000) members (representing all specialties, including medical students). The MAJ is the umbrella organisation for all professional medical associations and societies in Jamaica. All of which has a representative elected to sit on the Council of the Association. Past Presidents, Branch Chairmen, and Chairman of special committees also sit on Council. The MIJ provides a wide range of advisory services including health sector reform and rationalization, continuing medical education seminars and workshops, insurance – medical indemnity general, motor vehicle, health, disability and income replacement. The activities of the Association are financed from the income derived from annual membership subscriptions, symposia, MAJ travel club, endorsements, investments, premium commission earned from the conduct of business services which include medical indemnity insurance, fax and photocopying. The Association’s head office is located in central Kingston and is staffed by an Administrator, Secretary/Receptionist, Secretary (Temporary) and two other full-time members of staff. 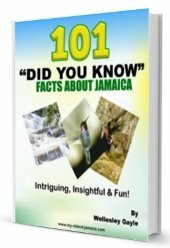 There are branch offices in St. James, Manchester, and St. Ann. The Association is a registered non-profit organization which is run by elected officers including a President, President Elect, Vice President, an Honorary Secretary and Assistant Honorary Secretary, an Honorary Treasurer and Assistant Honorary Treasurer, and a Council comprising of elected officers, past presidents and presidents/chairmen of member associations/societies. The activities of the Association are run by a series of executive management committees. Insurance; medical indemnity general, motor vehicle, health, disability and income replacement. Therefore, becoming a part of MAJ makes sense. With the association’s help and guidance, members will be able to keep abreast of what is happening in the medical field around the world, and also getting the opportunity to better their own skills with the seminars and workshops provided. If you are interested in becoming a member, or just want more information, please visit their website at http://www.doctorsja.com/. 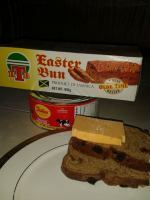 Address: 19A Windsor Avenue	Kingston 5, Jamaica W.I.